From platter to plate, Robobai has been trained to deliver insights across the F&B supply chain. 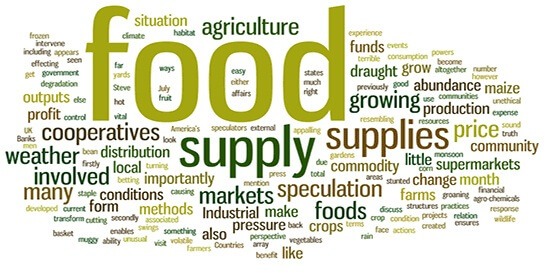 Food and beverage procurement has long been an area of great difficulty to directly manage. The problems and challenges faced in this area by those in the food and drink industry are some of the most diverse around. For most companies however, this is an area that can provide a wealth in savings or by contrast be one of the areas in which your company wastes money. One of the most pressing challenges for food and beverage procurement teams is the focus on direct spend rather than high value indirect categories. Indirect spend value is usually of high spend, as too is the number of suppliers that provide the raw materials, goods and services that are needed to make and support their products. It is extremely important that a company continually analyses the spend difference of a commodity or category to ensure they are always buying at the best market rates. Companies are all too often complacent due to the sake of ease of purchase and supply - when far better priced goods or services are be available elsewhere through better leveraging spend. Another major issue for procurement teams in this industry is ensuring the business is utilising the preferred and selected suppliers. Ensuring the right suppliers are used for the right job, at the right price under the agreed terms and conditions. More often than not procurement teams are blind to the supplier leakage that occurs due to poor data analysis. Operational buying teams mainly due to inefficient P2P systems often buy from the wrong suppliers without even knowing it and procurement don’t have the visibility to inform and change buying decisions. Robobai’s platform sits on top of a company's ERP and data systems, it takes standard data extracts of the spend data (PO, AP, Credit Card etc.) then quickly auto-classifies and categorises it. Robobai is proven to accurately classify the entirety of a companies spend data to above 90% within just a few months. Once the data is accurately classified, the trained AI algorithms will quickly identify actionable saving opportunities and provide suggestions on how to implement them. The platform continually tracks savings and ensure compliance across all preferred suppliers month on month through frequent data refreshes from all sources. Procurement teams using Robobai quickly realise that they are able to spend their time actioning savings rather than wasting it trying to find them. To find out how Robobai will transform the way you use your spend data, GET THE DEMO now!